We are in Halifax, Nova Scotia. We call in at the port of Halifax, Nova Scotia. As a first time visitor I study the choices this port offers. Peggy’s Cove. Historical tour of Halifax. The waterfront. The botanical garden. All good. All worthy. All pull at the photographer in me. 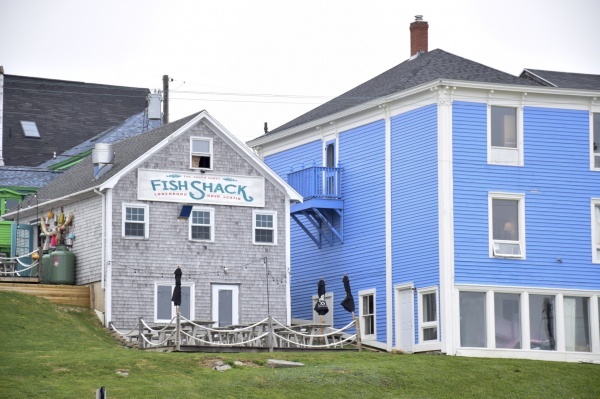 Then I notice Lunenburg. A bit off the beaten path for first‐timers like me. A UNESCO World Heritage Site. A former ship building mecca. We go there. 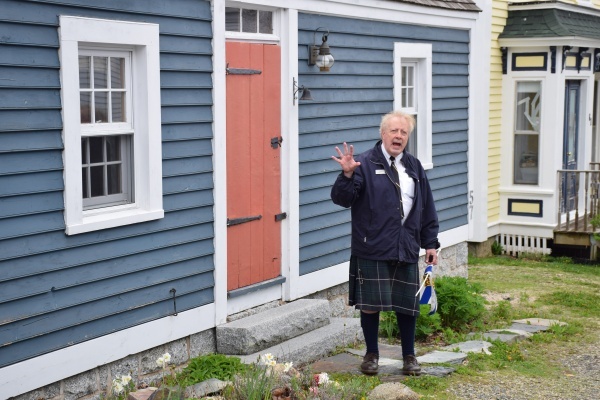 Our tour guide to Lunenburg is a retired history teacher. In a kilt. And as he slides into a gentle teaching rhythm our ninety‐minute bus ride into what he describes as the “Scotchmist” becomes a classroom with a view. We learn that a kilt is made from nine yards of fabric. The origin of the phrase, “the whole nine yards”. Nova Scotia means New Scotland in Latin and twenty percent of Nova Scotians are of Scottish descent. Students can study Gaelic in schools. The film Titanic was filmed in Halifax, which was the major recovery site of the disaster in 1912. With 7,000 miles of coastline, much of it in blind coves and bays, smuggling flourished, most specifically rum during the American Prohibition. A man by the name of McCoy handled the good stuff, the best stuff, “the real McCoy”. Records show 50,000 cases worth! 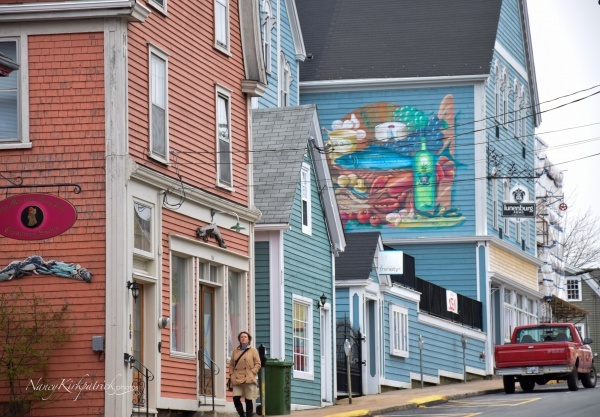 Then our teacher slides into narratives of Lunenburg. The prettiest city, he says. 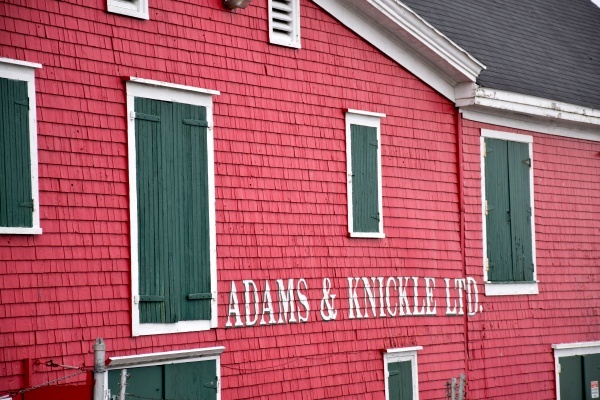 In its heyday, Lunenburg boasted five fish processing plants and 250 years of building the most beautiful and fastest ships in the world. No more. The single plant still operating processes fish from China. A victim of mismanagement of their most valuable natural resource, the cod, which is close to endangerment. 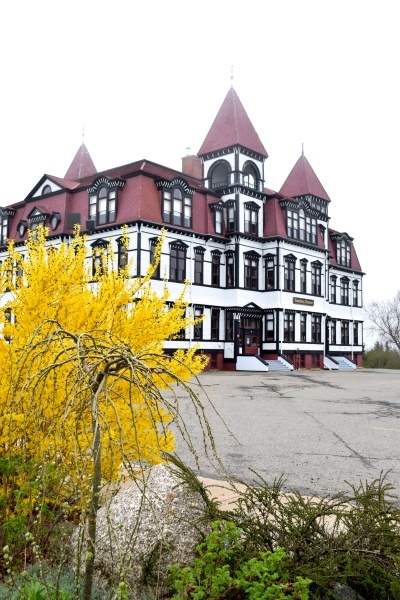 We arrive in Lunenburg at the hill top Academy of Lunenburg and disembark to walk the UNESCO World Site with our teacher. The Academy is Carpenter Gothic as are many of the wooden buildings we will see today. We proceed down the gentle slope to the“wedding cake” house. Pink. Then follows the first home built here, then St. John’s Anglican Church of Canada. Founded 1753. The interior is gorgeous. Detailed. 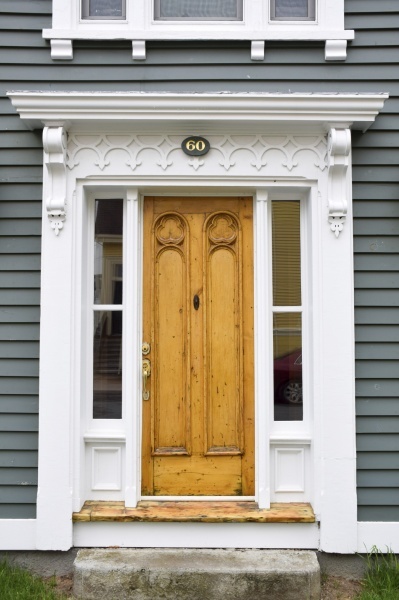 Faithfully restored after a fire to reflect once again a craftsmanship worth preserving. The artist repainting a field of stars could not make her brush move across the dark blue field. Something stopped her. Research revealed the painting pre‐fire had been faithful to the original consecration’s night sky. So goes the artist’s instincts. My camera records proud architecture and colors detailing the homes, shops, churches. Most historically accurate, some jarringly not, but tolerated by the citizens all the same. And then the waterfront. 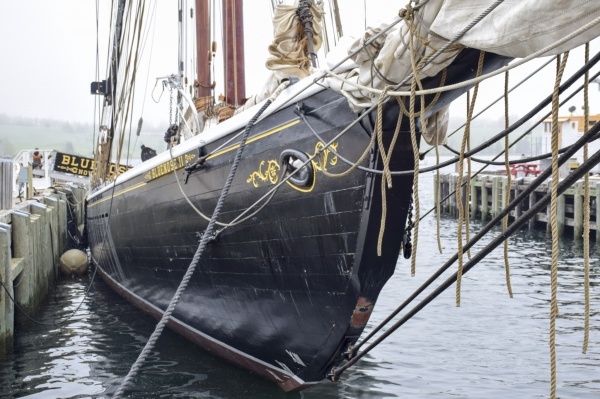 The replica of the “Blue Nose”, a racing schooner built of Lunenburg pride and launched in 1921 to topple the “Elsie” of Connecticut from her perch as number one on the New England racing circuit. For twenty years the Blue Nose reigned. The most beautiful. The best. 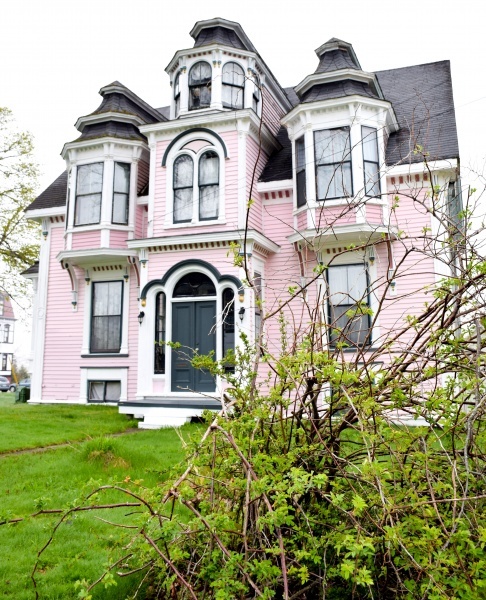 Lunenburg IS the prettiest city, our teacher says. I agree. And I think, thank you for showing us that history is the everyday that spans time. History is alive to this teacher. In a kilt. In his classroom with a view.